The perfect example of “a match of two halves”, Saturday’s Fiorentina vs. Udinese also delighted Serie A fans with a big deluge of goals, courtesy of some often shaky defending (on both sides) but more so of the great prideful reaction by Cesare Prandelli’s boys. One goal down early in the game, La Viola looked over the precipice, reacted and came back as only a great fighter would. In particular, today’s lasting image was the big “fu** you” message (figuratively speaking) sent by Riccardo Montolivo to all his critics, after his uninspiring mid-week performance for Italy. The Viola midfielder literally took his team by the reins, providing the playmaking and the scoring, and capping a great performance with two nicely taken goals. (From Gazzetta): Unlike their occasional and undeserved “flash in the pan” tag (attributed to them by some critics) tends to suggest, Udinese are a solid reality in Italian national football. 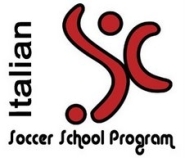 Since he took over at the end of the 2006-07 season, Manager Pasquale Marino has been able to create a little gem of a team with the Friulian side. Even without Di Natale and Quagliarella (not in the best shape and making an appearance only at the end), Udinese still remain faithful to the image of a short-passing, compact squad capable of very high-quality counterattacks. Unfortunately for Udinese, their main weakness was not to score a second goal in the first half while they dominated the game, at a time when Fiorentina only posed marginal threats to Handanovic (the most notable of which a beautiful combination by Gilardino and Mutu ending with a low shot by the Romanian striker). 1-0 Udinese at the half. Udinese’s faults became all the more evident at the start of the second half, when Fiorentina sounded the charge towards their opponents, with their heads down and an obvious thirst for goals. Adrian Mutu came close to the equaliser with a swerving free-kick just inches wide, but then found the net from the 12-yard spot (a cheeky “Panenka-style” penalty kick, or cucchiaio) after the referee called a penalty for a Domizzi challenge on Gilardino. Not the most obvious of calls, but a seemingly fair one based on video evidence. 1-1. Udinese, so fragile in the first half, lost brilliance. The opposite could be said for Fiorentina, who after the Santana-Semioli substitution seemed like a different squad (even Vargas, who had been so awful in the first half, seemed reassured). The limitations of Marino’s lads were always the same: missing chances and then biting their nails for it. Floro Flores missed an almost certain 2-1 goal, with Frey opposing the striker’s shot following yet another save on Pasquale, after which the eternal “missed chance, goal conceded” adage took a nightmarish form for the visitors. Indeed, not even one minute later Riccardo Montolivo punished the horrendous Udinese defensive set-up, taking his time to arm a curling low shot into the bottom-right corner. 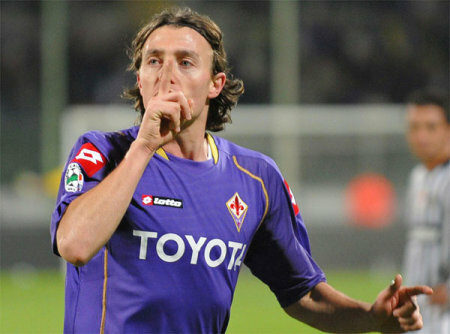 2-1 Fiorentina. From then on, manager Marino contributed to his team’s further demise. By replacing Pasquale with Di Natale, Udinese were now playing with as many as 4 strikers up front, and were far too unbalanced to withstand the Viola counter-attacks. It wasn’t long before a great left-footed half-volley from Montolivo, followed shortly by an Alberto Gilardino tap-in (after a good Mutu move) put the final nail in the Bianconeri’s coffin. 3-1 and 4-1 Fiorentina. Nevertheless, the last word would still be Udinese’s, who obtained a penalty-kick and a red card for the home team in the most useless of fashions. A good Floro Flores dribble and open-net shot was stopped by Gianluca Comotto on the goal-line… with his hand. Frankly, not the smartest of moves being sent off with your team leading by three. Antonio Di Natale transformed the spot shot, and gave Udinese at least a consolation goal before the end. The final 4-2 result was a point proving Udinese were NOT trampled today, but the Bianconeri must become far more cynical with their finishing if they want to take another step towards the top. Three consecutive losses should be a small reason for concern, but there’s no doubt this team will continue to give people something to talk about. GOALSCORERS: 29′ Floro Flores (U), 52′ pen. Mutu (F), 63’, 78’ Montolivo (F), 79′ Gilardino (F), 83’ pen. Di Natale (U). FIORENTINA (4-3-3): Frey – Comotto, Gamberini, Dainelli, Vargas – Donadel (30′ Kuzmanovic), Felipe Melo, Montolivo (80’ Gobbi) – Semioli (46’ Santana), Gilardino, Mutu. (bench: Storari, Da Costa, Zauri, Pazzini). Coach: Prandelli. UDINESE (4-3-3): Handanovic – Motta, Coda, Domizzi, Lukovic – Inler, D’Agostino, Pasquale (75’ Di Natale) – Pepe, Floro Flores, Sanchez (85’ Quagliarella). (bench: Belardi, Sala, Felipe da Silva, Obodo, Nef). Coach: Marino. 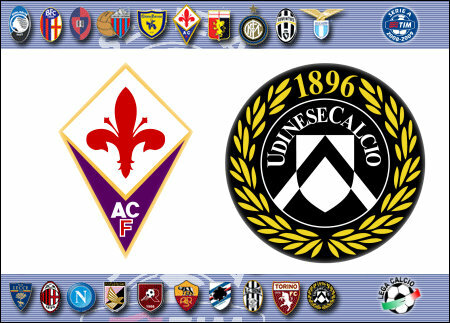 This entry was posted on Sunday, November 23rd, 2008 at 12:04 am	and is filed under Fiorentina, Serie A, Udinese. You can follow any responses to this entry through the RSS 2.0 feed. Both comments and pings are currently closed.